Millennium Recycling Join our Zombie Horde! 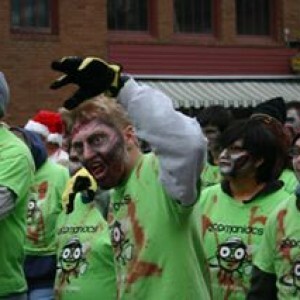 Join the Ecomaniacs in the Zombie Walk Parade! 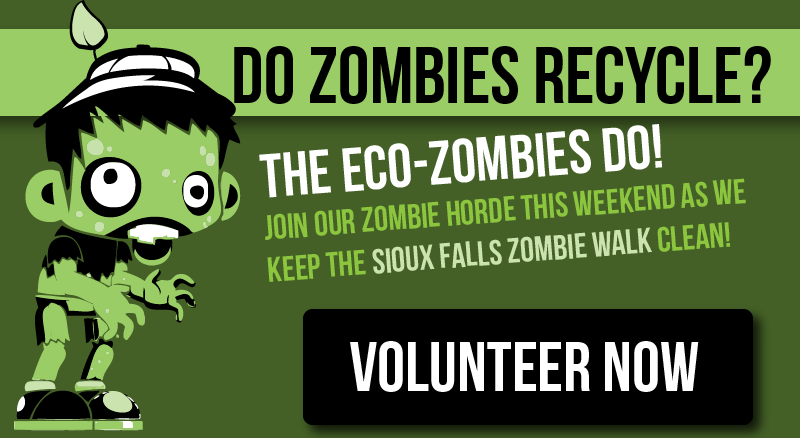 We are looking for volunteers on Oct 28th from 4-6pm for the Zombie Walk Parade. All ages welcome! Anyone under the age of 14 must be accompanied by an adult. Participants will get a free Ecomaniacs t-shirt, free zombie make-up, and will get to walk (or limp) in the parade with our float. After the parade, we will re-walk the parade route back to pickup litter. Make-up can be done anytime between 2 to 4:30pm (you may want to be done prior to 4PM to beat the crowds), volunteers must meet at the parade lineup by 4:30PM. There are 0 comment. on "Join our Zombie Horde!"